GRAND RAPIDS, Mich. – Together with its store guests and company associates, the SpartanNash Foundation’s scan campaign to provide shelter raised $202,350 on behalf of 79 local Habitat for Humanity affiliates in Michigan, Iowa, Minnesota, Nebraska, Ohio, North Dakota, South Dakota and Wisconsin. The 2017 fundraising total represents an 82 percent increase over last year’s retail scan campaign. 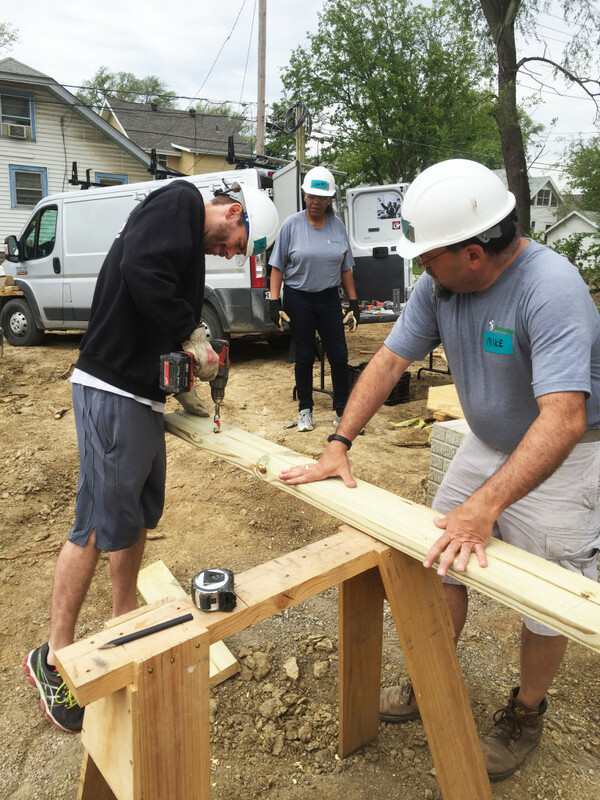 In 2016, the SpartanNash Foundation raised $114,500 through its partnership with Habitat for Humanity. Since 2006, more than $1.5 million has been raised by the company and its charitable giving arm to support Habitat for Humanity county and state-based affiliates and their hardworking homebuyers. Through financial support – such as the SpartanNash Foundation’s retail scan campaign – volunteering or adding a voice to support affordable housing, everyone can help families achieve the strength, stability and self-reliance they need to build better lives for themselves. Between Feb. 8 and 19, the SpartanNash Foundation hosted the companywide scan campaign in SpartanNash-owned stores, giving store guests the opportunity to donate $1, $5 or $10. One hundred percent of dollars raised go directly to local Habitat for Humanity affiliates, with many SpartanNash stores teaming up to support the same affiliate in their area. Eighty-five Family Fare Supermarkets, D&W Fresh Markets, Valu Land and VG’s stores and Quick Stop locations in Michigan raised $95,000 on behalf of Habitat for Humanity Michigan, which will in turn be distributed to 36 county Habitat for Humanity affiliates. Thirty Family Fare Supermarkets, D&W Fresh Markets and Forest Hills Foods stores and Quick Stops in Kent County (Mich.) raised $42,000 on behalf of Habitat for Humanity of Kent County. Fourteen Family Fare Supermarkets, Supermercado Nuestra Familia and No Frills stores in and around greater Omaha, Neb. raised $14,000 on behalf of Habitat for Humanity of Omaha. Four Family Fresh Market and Econofoods stores in New Richmond, River Falls, Somerset and Hudson, Wisc. Raised $8,400 on behalf of St. Croix Valley Habitat for Humanity. Four Family Fare Supermarkets in Fargo and West Fargo, N.D. and Moorhead, Minn. raised $7,100 on behalf of Lake Agassiz Habitat for Humanity. Five Family Thrift Center and Prairie Market stores in Rapid City, S.D. raised $6,600 on behalf of the Black Hills Area Habitat for Humanity. Three Econofoods stores in Red Wing and Cannon Falls, Minn. raised $4,600 on behalf on Goodhue County Habitat for Humanity. The Econofoods in Northfield, Minn. raised $3,300 on behalf of the Rice County Habitat for Humanity.